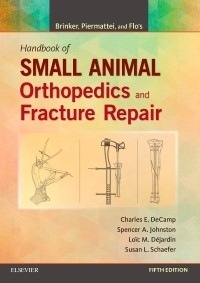 ・Clear, concise coverage covers the pathology, diagnostic work-up, surgical indications and planning, surgical approach, surgical techniques, complications, and follow-up recommendations for the most common orthopedic conditions. ・Step-by-step line drawings clearly illustrate different types of fractures and demonstrate the surgical procedures used to affect repairs - detail that can't be conveyed in clinical photographs. ・Anatomical organization provides quick access to information on both fractures and other conditions for each region of the body. ・NEW! Advances in joint surgeries, specifically the knee, shoulder, and elbow, keep practitioners abreast of the latest technology and best practices. ・NEW! Coverage of minimally invasive surgery has been added to the many chapters. ・NEW! Advances in imaging (MRI, CT, and radiographs) are included to keep practitioners up to date on the latest technology. ・Updates on new fixation technologies include angle stable interlocking nails and locking plate fracture fixation systems. ・Updates on common surgeries include triple pelvic osteotomy and total hip replacement. ・NEW! High-definition clinical photographs have been added to give readers a closer view of various fractures and repair techniques.